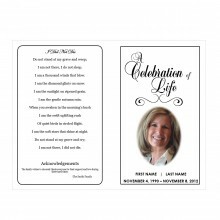 Skies may seem dark after the death of a loved one, but the sun will shine again as you move forward and the pain gives way to joyful memories of the person that you loved. 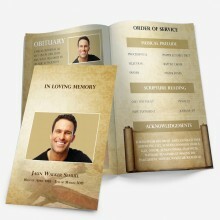 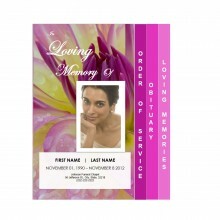 The 4-Page Graduated Outdoor 3 Funeral Program Template communicates this perfectly and will allow you to create sentimental keepsake funeral programs to celebrate the life of that special someone. 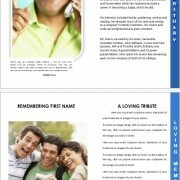 The front cover of this obituary program template shows a blue sky with the sun shining out from around the photograph of your loved one. 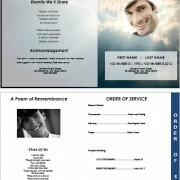 Dark clouds at the top and bottom of the cover of the funeral service program template seem to be separating to make way for the sun. 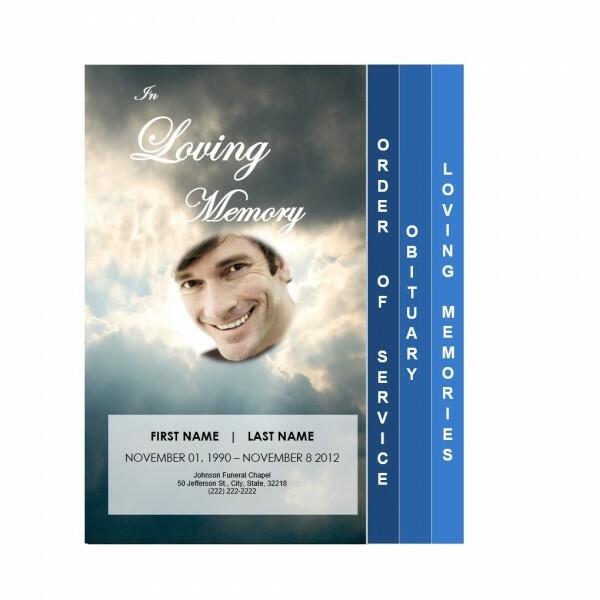 The front cover has a customizable text box with room for your loved one’s name, birth date, death date and the location of the funeral or memorial service. 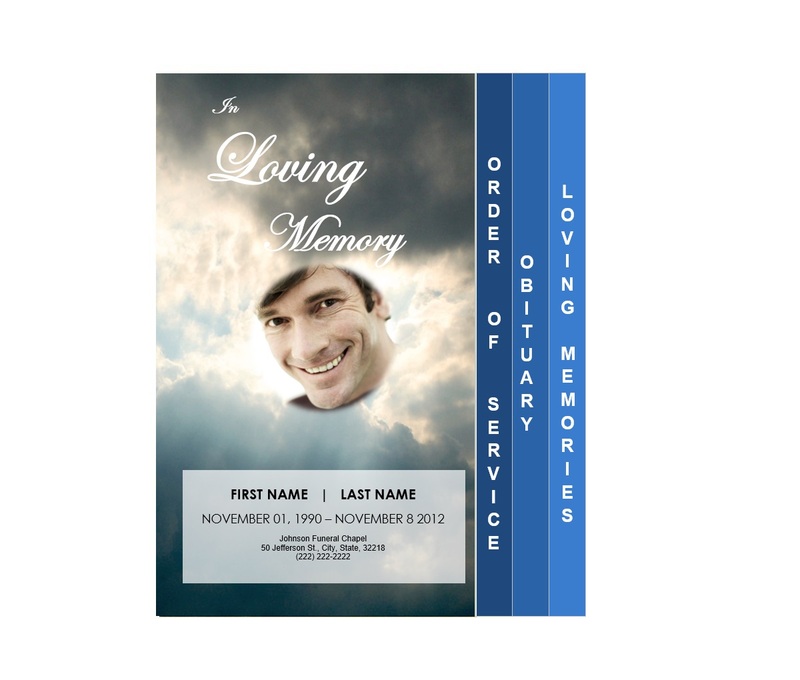 Blue tabs at the sides of the 4-Page Graduated Outdoor 3 memorial program template make turning to each of the pages inside simple. 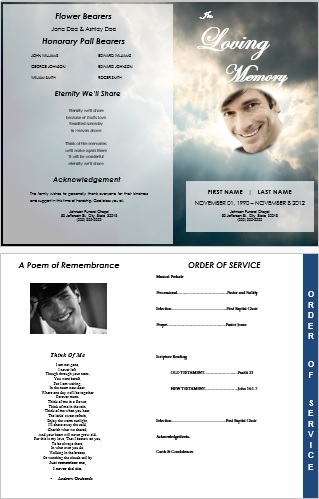 The first tab leads to an order of service template, a photograph and a poem. 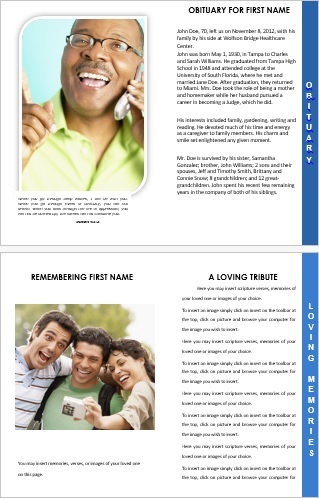 On the second page of the memorial service program template is an obituary template and a photograph, and the final page is a memories page with a place for a fourth image.